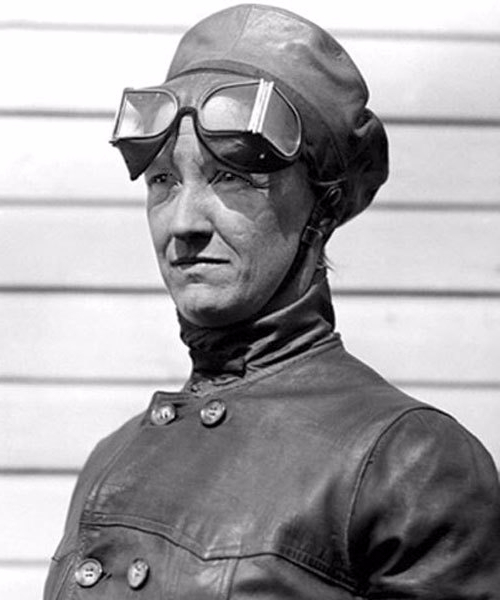 Bessie (Bessica Faith) Raiche was the first woman in the United States accredited with flying solo in an airplane. A many-talented woman. She received a Doctor of Medicine degree (M.D.) from Tufts University in 1903. She was a practicing dentist, a linguist and an artist. She had traveled to France to study painting, and while there had seen Orville Wright demonstrate his Wright Flyer. After catching a glimpse of Bessie for the first time on the Antique Road Show when her great Grandson brought in photos and other news items to have them evaluated. This included the medal she received. With each piece of info about this AMAZING Woman I became more and more intrigued as was the appraiser who admitted he had never heard of her either. I have added the link for anyone interested in viewing her part of the show and it is well worth the look see! In case you don’t have time for that let me tell you more about Bessie. She was so fascinated with flight that she and her husband constructed an airplane of bamboo and silk in their living room, with bicycle wheels and a used marine motor powering a wooden propeller. They trucked it to Hempstead Plains, New York, where Bessie, being lighter than her husband and thus less of a strain on the plane's structure and engine, piloted several short flights on 16 September 1910. With this she became the first American woman to pilot a solo flight intentionally. In her fifth flight on the same day she also became the first US woman pilot to crash a plane. According to an account in a local newspaper, "She scrambled to her feet and before any one of the mechanics and others who had witnessed the fall of the biplane could reach her, she had shut off the engine and stopped the propeller. Bessie calmly said she was not injured to those who ran to her aid, and then she directed the men to drag the wrecked plane back to the shed". The Raiches soon formed the French-American Aeroplane Company and built several more airplanes, including one of Bessie’s own designs which she usually flew herself. The business was short-lived, however, her health preventing her from flying any longer in 1912. She then concentrated on her main career as a physician. She was one of America's first female specialists in obstetrics and gynecology, and in 1923 she chaired the Orange County Medical Association. As you learn in the video, most of photos and air plan designs were burned by her husband when they divorced further adding to her being a missed part of history outside of the aviation community. Dr. Bessica Raiche died from complications of the heart at her home on Balboa Island in 1932 at the age of 57 years.